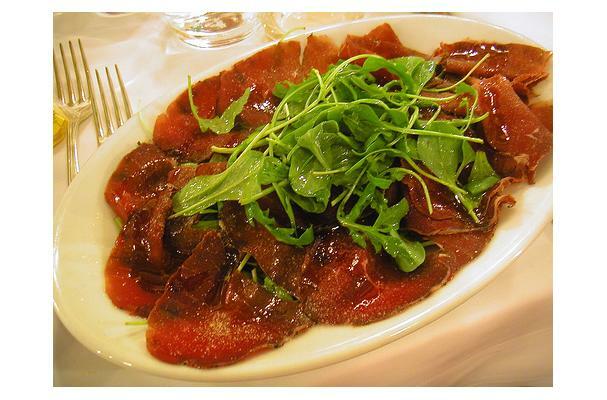 An Italian air-dried meat similar to salami, but with less marbling. The meat is most often rubbed with spices such as cinnamon, juniper berry, salt and nutmeg to create a sweeter tasting product. The meat is left to cure for a few days and then dried for up to three months. It is served in thin slices.